This spacious double fronted end townhouse is presented for sale in excellent condition throughout, making it an ideal home to move straight into. The property is situated within easy reach of great amenities and an internal viewing is essential to truly appreciate this fabulous property. Entering into the sizable hallway you will be greeted with a staircase that rises to the first floor and doors to downstairs rooms, there is also a useful under stairs storage cupboard . 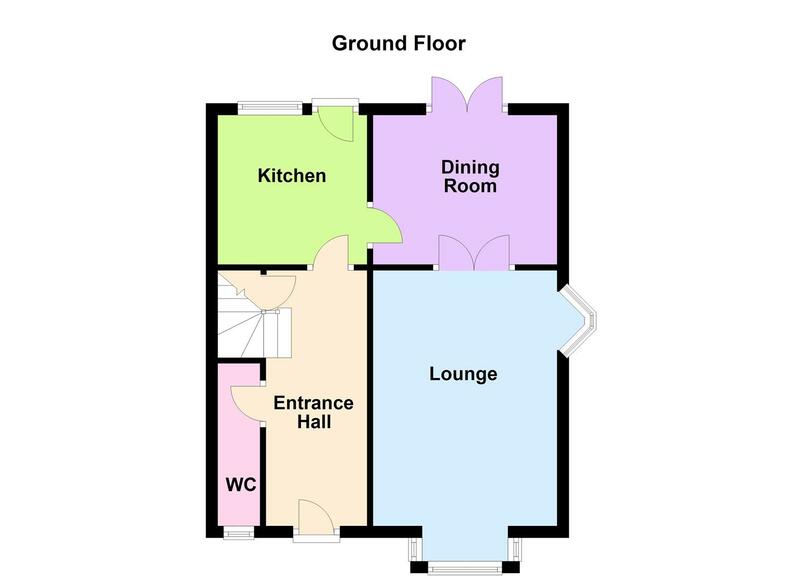 The lounge has a box bay window to the front and a feature window to side and fireplace with surround. Double doors open up in to the dining room, with ample space for a dining table and chairs and having French doors leading out to the garden. The kitchen itself has been fitted with a range of wall and base units with one and a half stainless steel sink drainer, integrated neff electric oven, four ring gas hob with extractor over and plumbing for a washing machine. There is a window over looking the garden and door to the rear. Essential for any home is a downstairs cloakroom with a white low level wc and corner wash hand basin. 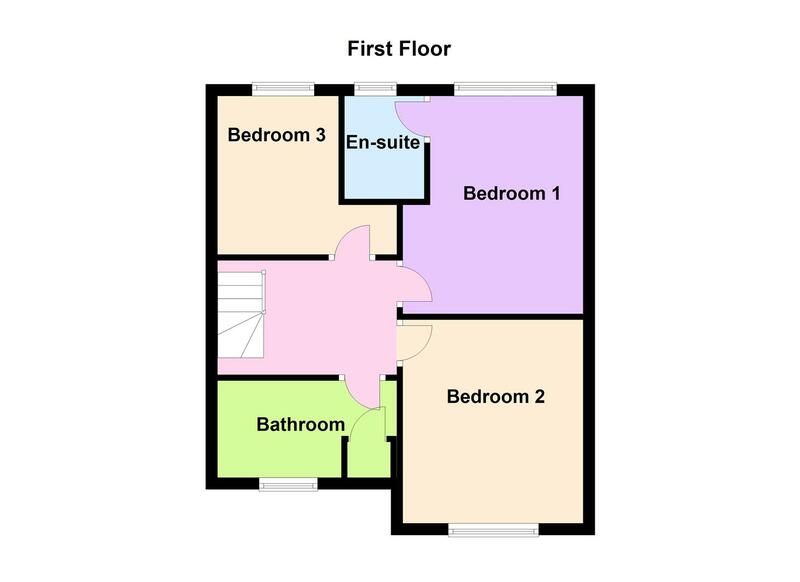 Travelling up to the first floor you will not be disappointed with the three well proportioned bedrooms, with the master bedroom having an ensuite shower room, comprising of low level wc, wash hand basin and shower cubicle, with extractor fan and shaver point. Neutral and bright the bathroom has a modern white suite comprising of wash hand basin, low level wc and panelled bath with complimentary tiling and airing cupboard providing storage. Externally, a huge benefit to this property is the expansive driveway to the side, with gated access to the rear garden which is enclosed with a fenced perimeter, mainly laid to lawn with a patio area perfect for outside dining, and having a paved area ready for a garden shed.